The Brotherhood of Locomotive Engineers and Trainmen exists to promote and protect the rights, interests, and safety of its members through solidarity, aggressive representation, and education. Please click on the above link to view the Ratification Results letter. is the Company Officer designated to receive protests as specified in Article 7 of the Collective Bargaining Agreement for Locomotive Engineers. Protests must be sent by certified mail. Protests that have previously been submitted and declined will not be accepted. Please click on the above link to view the agreement package. See the above link and following links regarding claims and Arbitration Award relating to Inward Facing Cameras. January 30, 2018 Letter from BLET National President Pierce. Special Board of Adjustment Arbitration Award. Note these rosters were updated on 01/18/2018 to correct errors from DWP Prior Rights and Engineer Promotion class dates. Please see the above linked letter regarding the May 25, 2017 Membership Survey. Please see the above link to view a notice from the General Chairman concerning the Carriers new discipline policy. Due to the large call volume from members looking to enroll, we will be providing a final open enrollment extension until next Thursday, September 14th. Please help us spread the word to your members to call our office at (847) 387-3555 to get enrolled at their earliest convenience. Thank you for your support and please let me know if you have any questions. Open-Enrollment for the CNWC Voluntary Group insurance plan (underwritten by Principal) is now open! Now is the time you can increase your life insurance elections, add coverage your previously declined and/or increase your disability income or benefit options. Open-Enrollment will close on August 31st 2017 and all elections made during open-enrollment will become effective on September, 1st 2017. It should be noted that this is simply an open-enrollment. No changes to the plan or rates have been made. We are still under rate guaranteed for our existing policy until August 1, 2019. This open enrollment is simply the time to make changes if you wish. If you are happy with your current elections and don’t need to make changes then you can simply do nothing and your current elections will remain in effect. It is recommended that all members (whether participating or not) call Cornerstone (847) 387.3555 to learn about your options during this open-enrollment. While participation is voluntary and the individual choice of each member, the more members we have participating will help the overall long term sustainability of the policy, while at the same time giving more members income protection benefits. Your health and ability to earn an income are the most important assets you have. Our General Committee group insurance policy was put in place seven years ago to help protect our members and their family’s way of life if they were unable to work due to disability or death. Since that first policy seven years ago, many millions of dollars have been paid to our members and their families when the unfortunate occurred, and while this coverage is not right for all members, our goal is for all members to be well informed and to make an educated decision whether to participate or not. All questions should be directed directly to Cornerstone (847) 387.3555. Member can enroll or make changes over the phone by calling Cornerstone. Please see the above link for more information regarding Personal Electronic Device use. Please see the above link regarding a BLET Town Hall Meeting in Roselle IL all BLET Members are invited to attend. You should be receiving a letter from this office concerning your GCA’s up-coming bargaining round with the Carrier. Attached to the letter is a survey asking you to rank the five issues you would most like to see addressed in the upcoming round. Your opinion is very important to the GCA. We will consider this information carefully as we draft our Section 6 notice. PLEASE take the time to fill out and return the survey. A self-addressed, stamped envelope is included for your convenience. This survey is an opportunity for you to express what is important to you. If you do not receive this information, please contact this office or your Local Chairman for a copy. Once the information from the surveys is compiled, the GCA will post the results and keep you up-dated as we get closer to beginning our Section 6 negotiations. Looking forward to reviewing your survey responses and thanking you in advance for participating in your Union. I am sadden to announce Brother Mike Suriano, a member of Division 174 passed away unexpectedly Thursday. This is a sad reminder of how fragile life really is. On behalf of all members of CN/WC membership I extend our most heartfelt sympathies to the Suriano family. More details will be provided as they become available. I am sadden to announce Brother Scott Sterling, a member of Division 174 passed away unexpectedly yesterday. This is a sad reminder of how fragile life really is. On behalf of all members of CN/WC membership I extend our most heartfelt sympathies to the Sterling family. More details will be provided as they become available. Canadian National–Wisconsin Central (CN-WC) General Chairman John W. Reynolds was reelected by acclamation to his fifth term of office at the General Committee’s quadrennial meeting in Green Bay, Wisconsin, March 30-31, 2016. Please see the attached letter to members. This letter pertains to members who were off work due medical leave and collected STD benefits from MetLife, as they may have been shorted on their STD income. Please see the attached letter concerning an incident at Fond du Lac in which the engineer received a 33 day actual suspension for allegedly violating USOR - Rule 0600 - Switching Safely and Efficiently. This benefits enrollment packet serves as your open-enrollment kit for two new benefits that are being made available to all members of the BLET CNWC GCA. Specifically, all members may now enroll (and be guaranteed approved) for Critical Illness and Accident Insurance with Aflac insurance company. Open-enrollment will be open from November 15, 2015 until December 15, 2015. If you enroll during open enrollment you will be fully insured on January 1, 2016 (you are immediately covered for 25% of your elected benefit amount the day your enrollment forms are received). It is important to understand that these benefits are being made available to you IN ADDITION to the Disability and Life insurance benefits already in place with Lincoln Financial Group. These Aflac benefits are NOT replacing any other insurance plans. These Critical Illness and Accident Insurance benefits have been negotiated on a group basis to provide all members of the General Committee access to insurance benefits that would not otherwise be available to you on an individual basis. I am sadden to announce Brother Nate Collins, a member of Division 174 passed away unexpectedly yesterday. This is a sad reminder of how fragile life really is. On behalf of all members of CN/WC membership I extend our most heartfelt sympathies to the Collins family. More details will be provided as they become available. SECTION 7(a) – LOCAL DIVISION RULES OF THE BLET BYLAWS STATES: "Nominations for officers of divisions shall be made at the first regular meeting in September preceding the date of election; no member shall be nominated for office who is not eligible for election at the time of nomination. Members in good standing desiring to place their nominations for division officers may nominate by voice from the floor at the meeting at which nominations are being held and those unable to attend the above meeting on account of being on vacation, sick, working, or on an outlying assignment may write their choice of nominations to the division secretary-treasurer, who will read same at the meeting. All nominations, including written, must be seconded. Candidates may not nominate themselves or second their own nominations." YOU MAY SUBMIT NOMINATIONS IN WRITING TO THE UNDERSIGNED. SUCH WRITTEN NOMINATIONS MUST INCLUDE THE NAME OF THE CANDIDATE(S) AND OFFICE(S) NOMINATED FOR, THE DATE, YOUR SIGNATURE, AND YOUR NAME LEGIBLY PRINTED. I am pleased to announce and welcome Brother Gordy Hill as the newly appointed Critical Incident Director – Mobilization Coordinator to our General Committee. This appointment is effective July 2, 2015. Brother Hill is replacing Brother Chuck Schulz. Brother Schulz was recently elected to the position of Wisconsin State Legislative Board Chairman. I would like to congratulate Brother Schulz on his new position and thank him for his hard work and dedication as the former Critical Incident Director – Mobilization Coordinator to our General Committee. Brother Hill is member of BLET Division 173 (Fond du Lac, Wisc.). In November of 2012, he was elected Alternate Legislative Representative of his Division and assumed the Legislative Representative position in November of 2014. In addition, Brother Hill serves as Chairman of the Audit Committee for the Wisconsin State Legislative Board. I know he will work tirelessly on behalf of the General Committee and all members of our Brotherhood. I have every confidence that he has the skill and dedication necessary to meet the challenges that lie ahead. As Critical Incident Director to our General Committee Brother Hill’s duties will be, but not limited to, contacting members involved in critical incidents and ensuring all of their adequate needs are met. In his duties as Mobilization Coordinator Brother Hill will be responsible for working with the General Committee’s Division Coordinators in updating and maintaining the mobilization networks. These networks will be used to distribute pertinent information to our Membership. Brother Hill can be contacted as (920) 979-4853 or at geetarjunky@att.net. I extend our most heartfelt sympathies to the Schubert family. This is to update you on the current status of the suspended call windows. 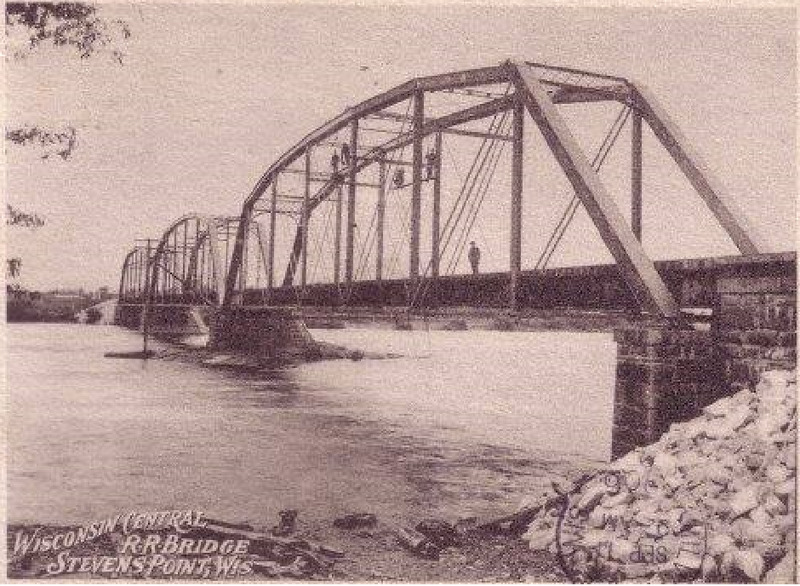 As of now I have notified that the call windows have been suspended at Fond du Lac and St. Point. I have an updated timeframe that call windows could be suspended until Saturday night or Sunday morning. I have been receiving calls concerning pay issues while the call windows the call windows are suspended. Please see Article 17 – Calling For Duty Section 1 Q&A #2 that I have attached below. The current call windows will be suspended and the effected employees will be placed on a Road Pool Board in the order of their call windows. Such employees will then be run first-in, first-out on any available assignment other than temporary vacancies. A disruption to service is defined as a main line blockage due to derailment, washout, fire, vandalism, flood, or similar act of God that results in the stoppage of trains on the WC Division. It is not the intent to invoke this provision unless an incident results in a severe disruption to the designed flow of traffic on the WC Division. A severe disruption is defined as above noted and lasting more than five (5) hours. Furthermore, the Road Pool Board created by this provision will be abolished and crews will return to their regular assignments when main line traffic resumes. Employees will be notified when they are to return to their normal call windows. Question: Is a labor strike considered a disruption of service such that would trigger Article 17, Section 1 Paragraph D? Question: Will Engineers lose earnings as a result of implementation of Article 17 (D)? Answer: No. Engineers will be compensated no less than the GEB rate during the affected timeframe. I will update you as I receive more information. U.S. Transportation Secretary Anthony Foxx today announced a final rule for the safe transportation of flammable liquids by rail. The final rule, developed by the Pipeline and Hazardous Materials Safety Administration (PHMSA) and Federal Railroad Administration (FRA), in coordination with Canada, focuses on safety improvements that are designed to prevent accidents, mitigate consequences in the event of an accident, and support emergency response. Please see the attached codified April 1, 2002 revised: August 4, 2014 Agreement. The codified Agreement is at the printer and I will mail a hard copies to all members when I receive them. Monday March 9th signed so–called right–to–work legislation banning requirements that private-sector workers pay union fees. In a matter of weeks, Republicans pushed through the measure making Wisconsin the 25th state with such a law, giving a victory to manufacturers in the state and a blow to organized labor and some construction firms, which had opposed the measure. Click the above link to read a newsletter from the BLET Wisconsin State Legislative Board regarding Right to Work Legislation in Wisconsin and action being requested of all Members. From a discussion with Chairman Woyak, the Superintendent asked that word be spread to all operating employees that if a customer track is snow covered that we can not safely operate on their track, that we should not attempt to enter that track and report the track condition to Customer Service and the RTC. If there are any questions please contact a Division 174 Officer for assistance. The Carrier plans to issue backpay to active engineers on September 10, 2014. If anybody wants to make adjustments to their 401k withholdings, they need to do so before 1200 hrs. on September 8, 2014. It is very important to note that any change to the 401K election must be faxed to Payroll (708-332-3854) or emailed to Annette.Duffany@cn.ca rather than going through Fidelity. Employees should also be aware that the Railroad Retirement Board does not recognize 401K contributions as being exempt from RRB taxes so even if the employee elects 100% for 401K, it will actually be closer to 80%. As you are probably aware, CN recently issued a poster complaining about alleged FMLA fraud and abuse, and urging you to anonymously inform on any fellow employees you suspect of improperly obtaining or using FMLA. This poster is an insult to all of us. Beyond that, it is an attempt to pit each of you against your fellow employee, which is an affront to the principles of trade unionism. I have just been notified by Labor Relations that the new pay rates are being uploaded and will be applied to coincide with the new payroll period beginning August 11, 2014. Back pay will be paid up to and including August 10, 2014. Please notify your members. This refers to the tentative agreement between our GCA and Wisconsin Central Ltd. (CN–WC), which was mailed out to the active membership during the month of June, 2014 for ratification. The proposed agreement has been ratified by a majority vote of the active, eligible members casting a ballot. BROTHER SHAUN E. FORSLUND HAS ACCEPTED THIS NOMINATION AND HAS BEEN DECLARED THE WINNER OF THE AUGUST 2014 SPECIAL ELECTION BY ACCLAMATION. BROTHER FORSLUND WILL ASSUME THE POSITION OF ALTERNATE LEGISLATIVE REPRESENTATIVE UNTIL THE NEXT TRIENNIAL ELECTIONS IN 2015. The Carrier recently informed us that they are installing Inward Facing Cameras (IFC) on several locomotives to use on a pilot program on the Iron Range Subdivision. The date the IFC pilot program begins will be issued per a Lake Zone Superintendent´s bulletin. For whatever reason, an anonymous poster has circulated "concerns" about the use of the term "Memorandum of Understanding" on the cover page of the Tentative Mediation A-13676 Agreement. By references to Wikipedia, the author of these "concerns" is apparently attempting to arouse suspicions about the enforceability of the Tentative Mediation A-13676 Agreement in what can only be a cowardly attempt to dissuade members from supporting it. The Memorandum of Understanding that constitutes the Tentative Mediation A-13676 Agreement is a legally binding instrument that will, if ratified, serve to amend the Schedule Agreement according to the terms of the settlement. It was carefully vetted by the National President's Director of Research, and was reached under the auspices of a Federal Mediator. There is no merit whatsoever to the "concerns" being anonymously voiced, and any questions about the Tentative Mediation A-13676 Agreement should be directed to this office, not the bulletin board, locker room, or shanty. Should you have any questions or concerns, please contact this office. As you should be aware, a copy of the Tentative Mediation A-13676 Agreement was mailed on Friday, June 20, 2014 to active members of the BLET employed by CN-WC who are eligible to vote on the ratification of this Agreement. Ballots are due by Friday, July 25, 2014. I have received many questions concerning what happens next if the Tentative Agreement does not ratify. While there is a legal structure that governs the process from this point on, it is much harder to predict with forensic precision just what will happen. I will do my best to explain what the law provides, and my best estimate of what could happen if you reject the Agreement. 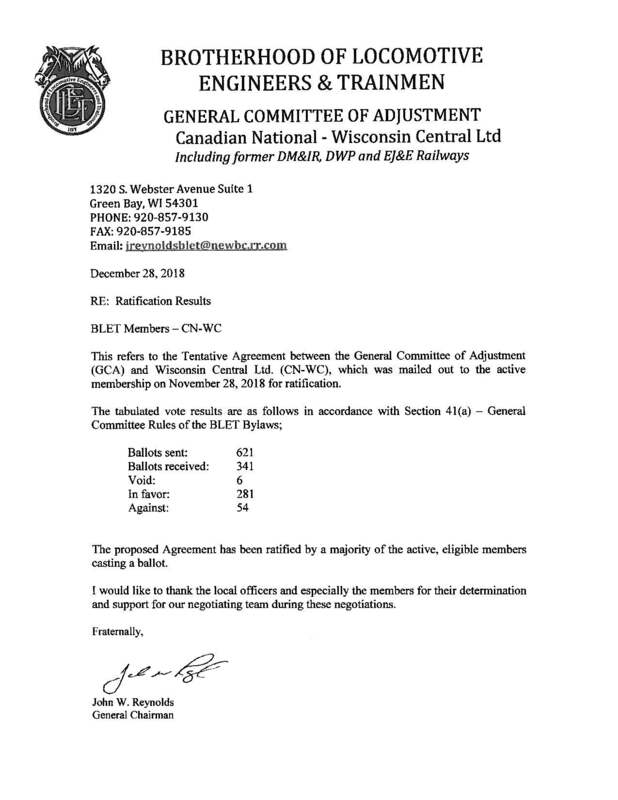 On May 28, 2014 the Brotherhood of Locomotive Engineers and Trainmen (BLET) reached a tentative contract Agreement with Canadian National's Wisconsin Central Ltd. Ballots are being mailed today to active members of the BLET employed by CN-WC who are eligible to vote on the ratification of this agreement. I regret to inform you that on Saturday, June 14, 2014 Brother Brett Hobbs, Local Chairman for Division 520, lost his home in a tragic house fire. Fortunately Brother Hobbs and his family escaped unharmed, but they lost all of their personal belongings in the fire. If there is anything you can do to help Brother Hobbs and his family please contact Division 520 Secretary/Treasurer Jim Gibson at (219)741-6801 or at jimgibson520@gmail.com. Any assistance that you may provide the Hobbs family will be greatly appreciated. The General Committee reached a tentative Agreement with the Canadian National Railway on May 28, 2014 in Minneapolis, MN. The tentative Agreement was sent to the BLET National Division for executive review and approval on Monday, June 2, 2014. When executive approval is received from the National Division, the ratification process will begin, at which time details of the new tentative Agreement will be furnished. This office will release more information as it becomes available. In preparation of the Tentative Agreement being approved, Members that have changed their mailing address over the last couple of years are encouraged to contact their Division Secretary/Treasurer so their address can be updated to be sure they receive the mailing which will include their ballot. As part of an ongoing effort to secure a law mandating a minimum of two crew members in the cab of all locomotives, the Brotherhood of Locomotive Engineers and Trainmen (BLET) and the Transportation Division of the International Association of Sheet Metal, Air, Rail and Transportation Workers (SMART–TD) have provided their State Legislative Boards with model legislation to secure minimum crew size laws on the state level. I have recently had several Division Members contact me regarding issues with Locomotive Calendar Day Inspections (Daily Inspection). This often does not get covered well in training and can be confusing. Below I have provided the text of the rules and regulations that apply (See next Page for ABTH 202 and 505 along with 49 CFR 229.21). These should be interpreted as follows: If you are using a locomotive that hasn´t had its Daily Inspection on the day you are using it, YOU need to perform the inspection. This letter is to up-date the continuing business of the General Committee. The first item to address is our Section 6 Mediation negotiations with the Carrier. At the completion of our last round of meetings that were held the week of February 10, 2014, there was significant progress made, although there are still issues that neither of the parties could come to an understanding on. We were recessed by Mediator Tossi until the week of May 26, 2014, with the next round of meetings to be held in Minneapolis, MN. Click the above link to read the full letter. The U.S. Department of Transportation´s Federal Railroad Administration (FRA) today announced its intention to issue a proposed rule requiring two-person train crews on crude oil trains and establishing minimum crew size standards for most main line freight and passenger rail operations. The FRA also intends to advance a rulemaking on train securement and recommends a rulemaking on the movement of hazardous materials. April 4, 2014 Crystal Lake IL - Hartford Open-Enrollment Extended until April 30, 2014!! Hartford has granted an extension to the open-enrollment for the CN-WC GCA Group Insurance Policy. Members who enrolled during the prior enrollment are currently insured (as of April 1st) so this extended open-enrollment does not affect you in any way. Members who have not yet enrolled, but would like to, can enroll before April 30, 2014 and will be insured on May 1, 2014. Visit www.RailroadDisability.com and click on the secure "enroll here" button under the CN-WC GCA column at the bottomright of the home page. Call (815) 477.7287 and ask to have your enrollment elections into the CN-WC GCA group insurance plan taken over the phone. SUMMARY: FRA issues this final rule in accordance with a statutory mandate that the Secretary of Transportation (Secretary) require certain major railroads to develop, and submit to the Secretary for approval, critical incident stress plans that provide for appropriate support services to be offered to their employees who are affected by a "critical incident" as defined by the Secretary. The final rule contains a definition of the term "critical incident," the elements appropriate for the rail environment to be included in a railroad´s critical incident stress plan, the type of employees to be covered by the plan, a requirement that a covered railroad submit its plan to FRA for approval, and a requirement that a railroad adopt and comply with its FRA approved plan. I am pleased to inform you that we will be renewing our group insurance plan with The Hartford and ALL members are guaranteed approved for coverage during the open-enrollment which will run from March 1, 2014 to March 31, 2014. 1. Complete your enrollment forms online at www.RailroadDisability.com and click on the "enroll here" icon at the bottom of the homepage under the column for the WCGCA. 2. Call Cornerstone at (815) 477.7287 and have your application taken over the phone. 3. Complete the enclosed enrollment paperwork and mail them in the enclosed postage paid envelope or fax them to (847) 580.4937. Enrollment forms must be completed and returned by March 31, 2014 to be insured on April 1, 2014 when the policy goes effective. Cornerstone Assurance Group will also be conducting online Webinars throughout the month of March so members can learn about the renewal plan and get questions answered. Please visit www.railroaddisability.com to see the webinar schedule. All information about our renewal policy is located at the bottom of the homepage under the header WCGCA. As you know in probably the biggest on-going issues we are dealing with in your areas is managers on trains, excessive hours on duty, the position the Carrier is taking on limbo time and the Carrier´s on-going violations of the CBA. First, I want everyone to know that no one is sitting idly by and taking these issues lightly. Below I will describe what we are doing to address the above mention on-going issues. The National Transportation Safety Board today issued a series of recommendations (see Safety Recommendation Letters R-14-001-003 and R-14-004-006) to the Department of Transportation to address the safety risk of transporting crude oil by rail. In an unprecedented move, the NTSB is issuing these recommendations in coordination with the Transportation Safety Board of Canada. SUMMARY: FRA is amending the Federal Track Safety Standards to promote the safety of railroad operations by enhancing rail flaw detection processes. In particular, FRA is establishing minimum qualification requirements for rail flaw detection equipment operators, as well as revising requirements for effective rail inspection frequencies, rail flaw remedial actions, and rail inspection records. In addition, FRA is removing regulatory requirements concerning joint bar fracture reporting. This final rule is intended to implement section 403 of the Rail Safety Improvement Act of 2008 (RSIA). DATES: This final rule is effective March 25, 2014. Petitions for reconsideration must be received on or before March 25, 2014. Comments in response to petitions for reconsideration must be received on or before May 9, 2014. Retired BLET members are being advised of the availability of coverage in addition to Medicare for railroad employees, their dependents, parents and parents-in-law. The Transportation Safety Board of Canada (TSB) will release three recommendations related to its ongoing investigation into the 6 July 2013 derailment and fire involving a freight train operated by Montreal, Maine & Atlantic Railway in Lac-Megantic, Quebec. This event is for media only. Media representatives will need to show their outlet identification. to the day to day operations. I wish Brother Keith a happy and deserving retirement as he has worked enormously hard to achieve it. Members of the Brotherhood of Locomotive Engineers and Trainmen will keep their Health Flexible Spending Accounts (Health FSA) through 2014 thanks to an increased level of participation in the money-saving plan. Click the above link to view the 2014 Stevens Point Engineer Vacation Schedule. The U.S. Department of Transportation´s Federal Railroad Administration (FRA) today issued an industry–wide Safety Advisory to help ensure railroads adhere to federal regulations regarding maximum authorized train speed limits. The advisory contains four recommendations to ensure railroads comply with speed restrictions through appropriate operating policies, procedures and effective implementation. The BLET, working jointly with SMART-Transportation Division (formerly the United Transportation Union), made nearly 150 visits to members of the U.S. House of Representatives this week in support of H.R. 3040, the Safe Freight Act. The bill would mandate by federal law that two qualified individuals are in the cab of each freight train operating in the United States. Vice General Chairman Hau has created a pool schedule to help everyone rebid their jobs with the pool schedule changes at Stevens Point, the following copy is in Adobe pdf format to make it easier for everyone to access. This is made available as a tool and no guarantees are implied. This letter is to update you on the status of our current Section 6 Mediation meetings with the Carrier. I was contacted by Mediator Michael Tosi last week and was notified that Section 6 Mediation meetings will resume November 20 and 21, 2013 in Baltimore, Maryland. It has been reported that Grade Crossing and Trespassing Fatalities have been on the rise recently according to "Operation Life Saver" and the Federal Railroad Administration (FRA). This seems to be consistent with the amount of contact I have had with CN/WC GCA Members who have been involved in Critical Incidents over the last several months. The U.S. Railroad Retirement Board (RRB) announced that ongoing benefit payments will continue and all RRB offices are expected to remain open during the lapse in Federal funding for certain Government operations, which began today. The National Mediation Board, on the other hand, announced that it would be closed indefinitely due to lack of funding. The Your Track to Health brand represents the wide array of health and welfare benefits and resources available to eligible Railroad employees and their dependents. Whenever you see Your Track to Health used on communications and in materials, you can know and trust that the information is important and is being provided to help you better understand and optimize your health and welfare benefits. A health flexible spending account (Health FSA) is a benefit plan that lets you save by putting pre-tax money aside in a special account to help pay for certain medical costs and other health services. This means you can save on what you pay in your annual income taxes. Open enrollment for eligible BLET represented engineers who work at certain railroads (and all train service employees of the Texas Mexican Railway) will begin on October 1, 2013, and you can now calculate your potential savings by using the new Health FSA Calculator Tool. Open enrollment will run from October 1, 2013 until November 2, 2013, for the Health Flexible Spending Account Plan (Health FSA), which is available to BLET represented engineers who work at participating railroads, and all train service employees of Texas Mexican Railway. This important health care benefit, secured by the BLET during the most recent national contract, is in danger of falling by the wayside unless membership participation increases. At least 5% of eligible engineers must participate in the Health FSA in the 2014 Plan Year, and 7.5% in the 2015 and subsequent Plan Years, or the Carriers will have the right to terminate the plan beginning with the following Plan Year. The deadline to register for the 2014 benefit year is November 2, 2013, and the BLET is encouraging all members to sign up. By now you know the tentative Mediation Case A-13676 Agreement failed to ratify, 179 against, 124 in favor. So the immediate question is, what now? The short answer is that we go back into mediation. The U.S. Department of Transportation's Federal Railroad Administration (FRA) today issued an Emergency Order and Safety Advisory to help prevent trains operating on mainline tracks or sidings from moving unintentionally. The FRA's announcement was made in response to the July 6, 2013 derailment in Lac-Megantic, Quebec, Canada, as it awaits additional data once the investigation into the crash is complete. The actions announced today build on the success of FRA's rigorous safety program, which has helped reduce train accidents by 43 percent over the last decade, and made 2012 the safest year in American rail history. The Transportation Division of the Sheet Metal, Air, Rail and Transportation International Association (SMART) and the Brotherhood of Locomotive Engineers and Trainmen (BLET/IBT) have jointly announced that legislation requiring at least two crew members on all freight trains in the U.S. has been filed in Congress. The driver of a train that derailed in northwestern Spain last week, killing 79 people, was on the phone with railway staff when the train crashed, court officials announced Tuesday, citing information from data recorders. The following is the official statement from Dennis R. Pierce, National President of the Brotherhood of Locomotive Engineers and Trainmen regarding the danger to public safety that one-train operations represent. After this month's events in Canada there has been a lot of focus placed on properly securing trains. It is imperative that all members understand the process and follow through with properly securing equipment when being relieved, or anytime that you leave equipment unattended anywhere. If you have any questions regarding this please contact one of your Local Division Officers for clarification. Please see the attached letter concerning the Company´s Section 6 Notice that was in the mailing of the Tentative Mediation A-13676 Agreement. I have been notified by many members with concerns of the Company´s Section 6 Notice dated August 31, 2012 that was enclosed in the mailing of the Tentative Mediation A-13676 Agreement Package. Many members have the impression that the Company's Section 6 Notice is part of the Tentative Mediation A-13676 Agreement. THIS DOCUMENT IS NOT PART OF THE TENTATIVE MEDIATION A-13676 AGREEMENT. The Tentative Mediation A-13676 Agreement that was reached with the Canadian National Railway on June 6, 2013 received executive approval from the BLET National on Thursday, June 27. On July 1, 2013 copies of the Tentative Mediation A-13676 Agreement, ballot packages and other pertinent information was mailed to all active members for ratification. Ballots will be counted on August 9, 2013. If any active members do not receive their Tentative Agreement package by July 8, 2013 they should contact the General Committee office at (920) 462-4509 and a Tentative Agreement package will be mailed to them. Included in the package are dates and locations for contract explanation meetings. In addition to the meetings there are four conference calls scheduled. These meetings and conference calls are for the member's benefit to gather information and ask questions they may have concerning the Tentative Mediation A-13676 Agreement before casting their vote. The General Committee reached a tenative Agreement with the Canadian National Railway on June 6, 2013 in Homewood, Illinois. The tenative Agreement was sent to the BLET National for executive approval on Friday, June 7, 2013. Once this office has received executive approval from the National the GCA will start distributing mailing packets with pertinent information concerning the tenative Agreement and it will also be posted on the GCA Website. Shortly thereafter the release we will begin the ratification process. This office will release more information as it becomes available. As you know the 2013 Seniority Roster was posted on February 4, 2013. Upon review of the posted 2013 roster there were many errors discovered. Due to the amount of errors, the roster was revised and reposted on May 15, 2013. Any member disputing their placement on the Seniority Roster that was reissued must appeal their dispute in accordance with Article 7, Section 2 (b) of the Collective Bargaining Agreement. Any seniority placement protest that was appealed on the February 4, 2013 roster must be re-appealed. BLET Editor´s Note: The following is a list of important Information for railroad employees eligible for GA-46000 who may be planning an early retirement. It was prepared by United Healthcare. During a meeting with the Presidents of the Brotherhood of Locomotive Engineers and Trainmen and the SMART Transportation Division on April 24, 2013, Kansas City Southern Railway announced that it intends to install and begin to use inward facing cameras in all of its locomotives over the next few weeks. According to KCS, each locomotive will have two (2) cameras, one behind the engineer focused on the control panel and one across the cab focusing on both crew members. 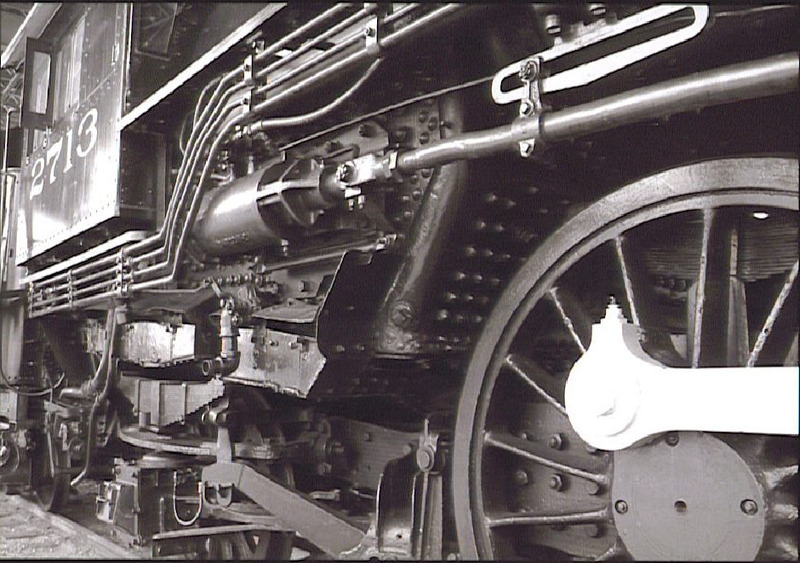 (Some locomotives with cameras installed already are in use in Mexico; others are being fitted for cameras in Shreveport.) The carrier told the two Presidents that it has "management prerogative" to take these actions and does not have to, and does not intend to, bargain with the unions over the use of these cameras, or the effects of this dramatic change on its operating craft employees. Without notifying the unions, that same day KCS filed suit in federal district court in Shreveport, LA, to obtain a ruling allowing it to implement its plan. Please see the attached letter concerning a request to not be called on your rest days. This should eliminate unwanted/disturbing calls from CMC. If a member signs up for the "do not call list" and is called, please notify your local officer so notification can be made of the General Chairman. As you all should already know, the Carrier has announced "Attendance Guidelines" to take effect on May 24, 2013. I fully understand that our members have many questions, concerns and fears about this policy and how it will be administered. The purpose of this letter is to let all of you know the GCA´s position in this regard. The Brotherhood of Locomotive Engineers and Trainmen enters its 150th year on May 8, 2013. It is the oldest transportation labor organization in North America. Founded May 8, 1863, at Detroit, Mich., the BLET has its headquarters in Cleveland, Ohio. It has more than 500 Divisions (locals) throughout the United States. The first unit of the Brotherhood to be formed was Division 1 in Detroit, Mich., on May 8, 1863. The 2013 BLET Seniority Roster was posted on February 4, 2013. Seniority protest must be appealed in accordance of Article 7, Section 2 (B) of the Collective Bargaining Agreement. Internal Revenue Service regulations require the BLET National Division to inform its members that a certain portion of your National Division dues are not tax deductible as a miscellaneous itemized deduction on your personal tax returns. According to the National Secretary-Treasurer´s office, 84.2 percent of your BLET National Division dues are tax deductible on a Form 1040 tax return. Enclosed herewith for your information and files please find a copy of a file provided by Texas State Legislative Board Chairman T.D. Briggs, relative to his successful prosecution of Union Pacific Railroad's violations of the hours of service laws as interpreted in Federal Railroad Administration Technical Bulletin OP-04-30. As we begin the New Year, it is appropriate for me to bring everyone up to speed regarding developments concerning the subject of fatigue. It is a subject that has captured our attention for many years. Moveover, this year should bring publication of a new Federal Railroad Administration ("FRA") regulation establishing the parameters for Risk Reduction Programs ("RRPs") that will cover most BLET members, which will include a requirement to develop Fatigue Management Plans. This is not a public website. This is a private website for the Brotherhood of Locomotive Engineers and Trainmen, Division 174 Officers and it's members. Any duplication of any images, text or other information on this site without the expressed written consent from the administrator is strictly prohibited! Access to portions of this website require a username and password issued by the Administrator, only authorized users will be granted access. Unauthorized access will be reported, Computer Fraud is a crime Any and all violations will be prosecuted to the fullest extent of the law.